Standing at the intersection of history, business, and anthropology, this is the definitive guidebook for succeeding and prospering in any retail enterprise. 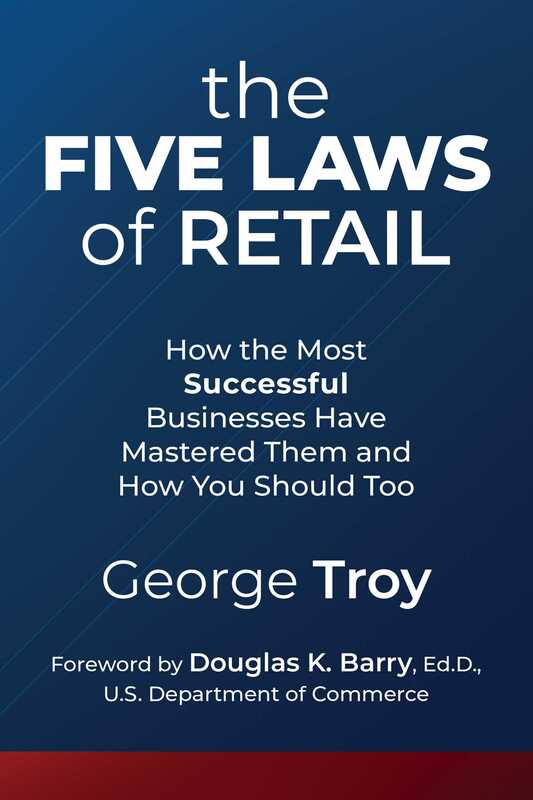 As a senior retail executive for some of the best-known and most successful retail brands in the U.S. and abroad, author George Troy understands today’s volatile retail landscape. In this time of tremendous challenge and realignment within the retail industry, retail executives and countless others are searching for answers and direction. Troy defines the underlying principles that have, for millennia, governed everything we retail—not just clothing and books, but also politics, religion, art, and other “products” and services. He explains how retailing really works and the rules for long-term success. For anyone wanting to be at the top of the retail food chain, The Five Laws of Retail brings together To Sell Is Human with The 7 Habits of Highly Effective People to give you the tools for success in today’s fast-changing world. After all, we are all selling something.